When C+D visited John Low Pharmacy in Consett, County Durham, the person standing behind the counter wasn’t a counter assistant, technician or a pharmacist – but a nurse from the hospital across the road, who was undergoing her prescriber training. 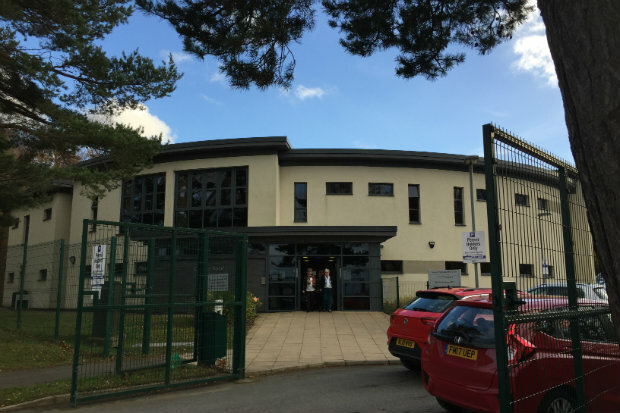 The proximity of the hospital to the pharmacy – which is located in the same building as a GP surgery – has enabled the pharmacy team to build strong relationships with primary and secondary care teams in the area, which in turn benefits patients. 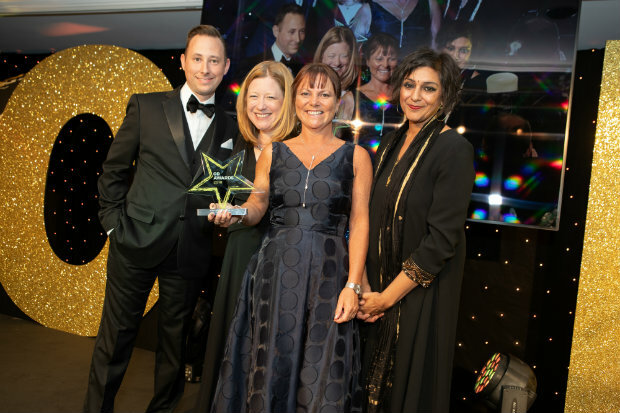 This close collaboration, along with its service offering, and participation in clinical research, led it to being crowned Independent Pharmacy of the Year at the C+D Awards 2018. Superintendent pharmacist Dawn Cruickshank tells C+D the benefits to the local hospital have not gone without recognition, as doctors appreciate scarce appointments aren’t taken up, with patients being appropriately triaged and then treated in the pharmacy. Ms Cruickshank says there is a “family ethos” within the pharmacy, which helps the team to create an “early warning system” to detect more serious illnesses among regular patients. “It’s amazing what they’ll tell us [that they won’t tell] the surgery. I think they think they are wasting the doctor’s time,” she adds. Since winning their C+D Award in July, the pharmacy started piloting a new service for detecting atrial fibrillation, with the aim of testing people coming into the pharmacy for their flu jab. The “nifty little machine” that tests patients’ heart rhythm includes two pads the patient puts on their fingers, which then gives an electrocardiogram (ECG) reading within 30 seconds, Ms Cruickshank explains. They launched the pilot service in November, and in one day the pharmacy performed 35 tests, five of which resulted in referrals to a GP. By November 12, the team had carried out “about 50” atrial fibrillation tests, with the hope to perform more after the pharmacy receives its next flu vaccine delivery. As well as the addition of this pilot, the “one big thing” the pharmacy has changed is “hitting everybody that comes through now with the new medicine service (NMS). Our figures have gone up quite up quite dramatically,” she says. Other “shocking results” that the pharmacy team have picked up have occurred as a result of its lung health check service, which gives patients a ‘lung age’ test, and a chronic obstructive pulmonary disease (COPD) status, Ms Cruickshank explains. This means “putting people onto a track for treatment a lot earlier than in the past”. One patient was diagnosed with cancer through the service, which she says "had crept up" on him. As well as the lung health check, Ms Cruickshank says the pharmacy’s smoking cessation service is also “key”, with two trained advisors in the team who are “very good, [and] their quotas are very high”. The pharmacy’s service mainstay is its anticoagulation clinic, which has been running for 15 years and takes place every Tuesday. The clinic has also picked up patients with cancer, she says, “because their international normalised ratio (INR) levels are totally out of control, which we couldn't explain in any other way”. The staff at John Low Pharmacy make the most out of calendar events – such as awareness weeks – to promote the services they can offer patients – most notably using dry January to encourage patients to engage in the pharmacy’s alcohol audit. In its C+D Awards entry, the pharmacy described itself as a “research hub”, as it engages regularly with research teams and identifies patients interested in taking part in studies. So far, the pharmacy has been involved with research into irritable bowel syndrome, depression, and opioids as long-term medication. One study the pharmacy is currently involved in is looking into low mood in patients on long-term medicines. “Everyone on a long-term medicine gets an envelope, which explains about the research project [and] an application form if they feel like they are suitable to participate in the research,” Ms Cruickshank explains. 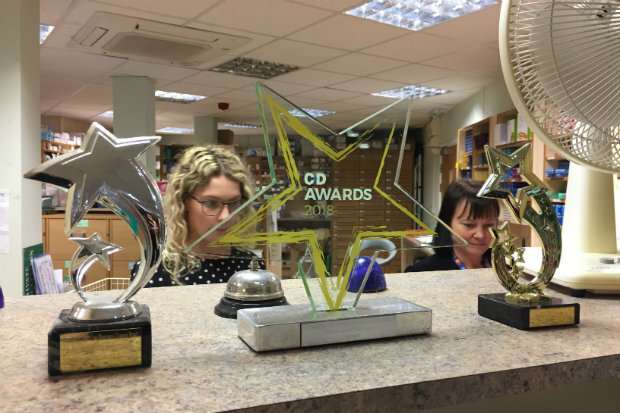 Since winning at the C+D Awards, the pharmacy has been in discussion with a research team looking at incorporating alcohol interventions into MURs and the NMS. This would mean that instead of asking lifestyle questions – including how much alcohol a patient consumes – at the end of a consultation, the questions are asked at the beginning. “That has an impact on other medicines and how you discuss them – so that will be quite interesting and a different way of thinking,” Ms Cruickshank says. Ms Cruickshank has worked at John Low Pharmacy for 15 years, during which time its growth has been “constant and steady”. Having a reliable team has made implementing the pharmacy’s services easier. Despite the ongoing pressures in community pharmacy, Ms Cruickshank remains positive that being an independent pharmacy with a “family ethos” has driven engagement with the community and has enabled them to provide such an array of C+D Award-winning services. Could you win the C+D Award for Independent Pharmacy of the Year in 2019? Entries for all 14 categories – including the new Locum of the Year Award – are now open, so find out more and enter below. Could you take home the Independent Pharmacy of the Year trophy at the 2019 C+D Awards?